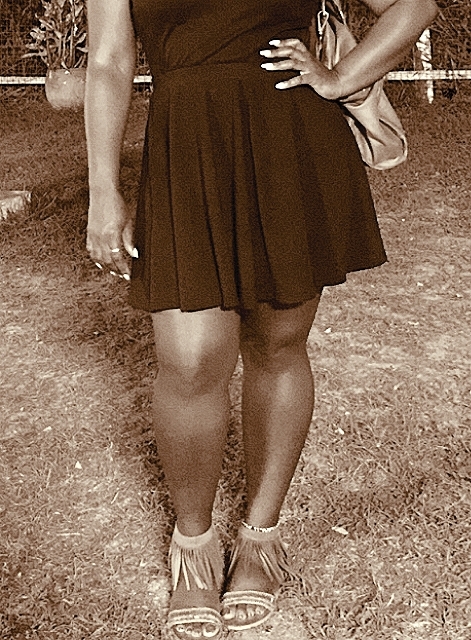 This weekend I had the pleasure of attending the Felabration 2015 #TurnUp in Accra. The event was a fabulous way to honour the legendary Fela Kuti’s birthday. You guys know I don’t play when it comes to my afrobeats, and I got my love for Fela from growing up in Nigeria. I lost all my home training when Kyekyeku performed Fela’s “Lady.” For me though, the best performance of the night was by Villy & the Xtreme Volumes. Absolutely electrifying. 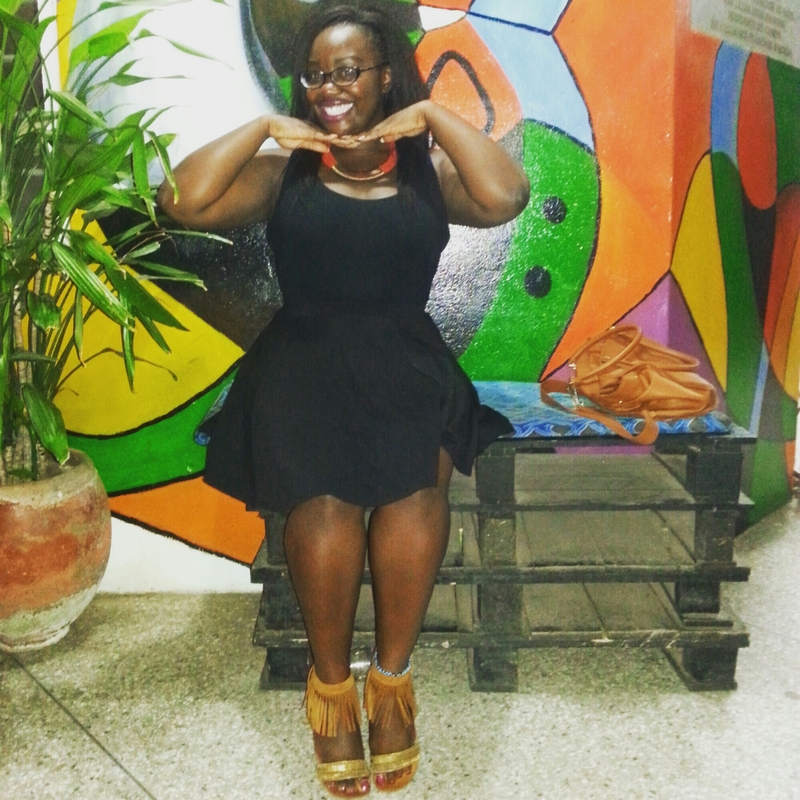 I was screaming YAAAASSS, hitting my shoki and waving my handkerchief like your overly turnt Auntie at the church BBQ. Anyhoo! Before the event I was stressing about what to wear. It was laundry day and I needed to take a simple outfit from “okay” to “SLAY!” Et voila… a cutesy little black dress and some chic accessories. This “little black dress” is actually a vest top from Dorothy Perkins, tucked into a flared mini skirt from my beloved Primark. I paired this outfit with a gorgeous deep coral beaded necklace, accented with a chunky bronze section. It was a gift from a very dear friend, and I love it. 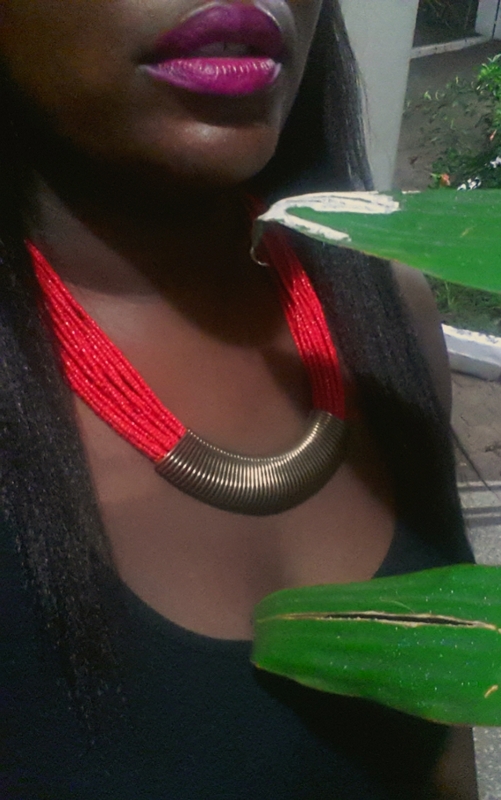 I’m a fiend for pops of bright colour, so I set off the red/orange of the necklace with a fuchsia lip. This lipstick is “Spellbound” by CoverGirl- I picked it up in Sydney and it is BAE! And on my tootsies? These fringed tan sandals from New Look. I bought these babies in the summer for Wireless Festival in London. My aim was to serve Chocolate Pocahontas realness. I love these sandals with shorts and little skirts. The swishing of the fringe with every step gives me life! OMG stawp! Thanks dollface! Every time I’m putting an outfit together I’m like hmm what would Rosie do? So proud!! When will MTV give us our own show?! Next Next post: Love the Skin You’re In!